Already taken apart - ready to go. 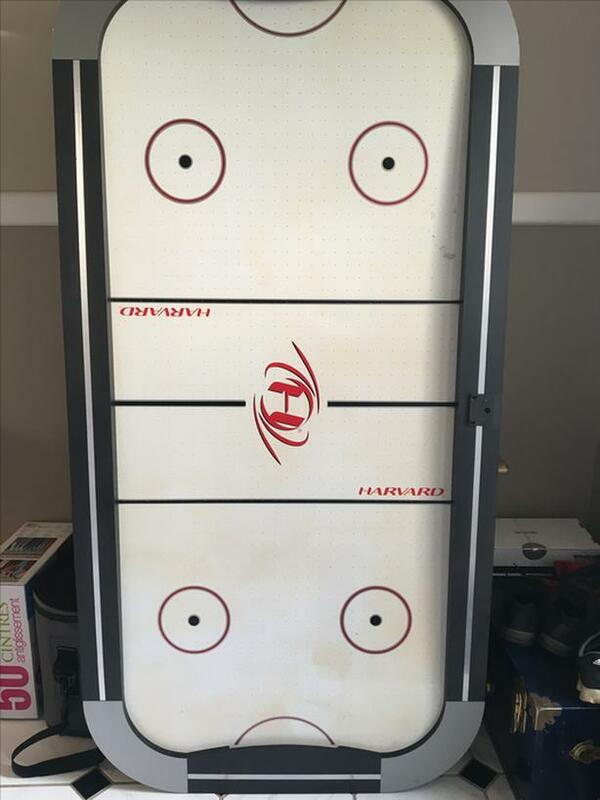 Has two paddles and two pucks. Is missing the score board.